It is that time of the year that we need to clean our air filter. 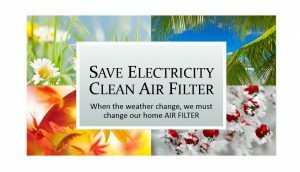 Save Electricity Clean Air Filter. In addition to when we switch from air conditioning cold air to furnace warm air, I recommend changing the air filters every 3 months. What is more, health purposes. You may be spending $10 to $20 more per year in filters, however, you will save more than that with these benefits. 5 good reasons why to change your air filters. Cleaner air ducts; in a bad case, a professional air duct cleaning $99. Reduce allergens; doctors’ visits, your insurance may cover it, however, taking a day off could be the time you have been saving for vacations. Reduce airflow; your A/C – Furnace unit will take more time to cool down or warm up your home, more stress for the unit may malfunction and as a result, fail. Cooling inefficiency; dirt may get to the cooling coils, frost will build up on the coils, thus, it will make more difficult for the A/C unit to cool down your house. Higher electricity bills; adding all the above, the A/C – furnace unit stress is greater with dirty filters than with clean filters. Indeed, having clean filters can save you about $300 per year in your electricity bill. In conclusion, I understand that we want to save as much electricity in order to pay less on our power bill. However, there is much more than just save a few hundreds. Save doctors’ visits, vacation days, cold/flu medicines, etc. Save Electricity Clean Air Filter. What is more, than save money? In addition to all this, when we use less electricity, we help our planet to heal from all the damage we have caused, especially by the way we demand and generate the electricity that powers our homes. One more way to pay less electricity, be your own electricity company. Go Solar. You can also follow our Power Blog. 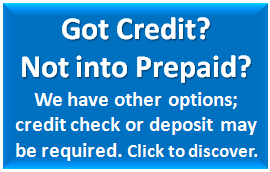 Call today for a free and hassle-free evaluation.